As we age, our ability to drive may help us live independently, shop for ourselves, and maintain social connections. A release from the American Geriatrics Society explains that although car crash rates are low among older adults and are declining, older adults do still have higher rates of fatal crashes. Falls, which are a common and preventable cause of injury among older adults, may lower our ability to drive safely. They can cause physical injury that limits mobility (our ability to move) and interferes with driving performance. Falling can increase the fear of falling, which leads to a reduction in physical activity . Reduced physical activity can weaken our physical strength, which also could reduce fitness for driving. Falls can affect an older adults’ mental well-being, making them more fearful and leading to changes in driving behaviors. Falls and difficulty driving may be caused by common factors, such as vision problems. A research team created a study to see whether falls were related to driving risks and behaviors among older adults. Their study was published in September 2017 the Journal of the American Geriatrics Society. The study authors are Kenneth A. Scott, PhD, MPH; Eli Rogers; Marian E. Betz, MD, MPH; Lilian Hoffecker, MS, PhD, MLS; Guohua Li, MD, DrPH; and Carolyn DiGuiseppi, MD, MPH, PhD. To test their theory that falls are related to car crashes, crash-related injuries, and changes in driving performance, the researchers reviewed 15 studies of driving behavior among older adults involving nearly 47,000 people. The researchers learned that older adults who had fallen were 40 percent more likely to experience a car crash after their fall than older adults who had not fallen. Based on estimates of car crashes involving older drivers and older adults who fall, falls — or the things that cause falls and crashes — accounted for more than 177,000 additional car crashes each year. 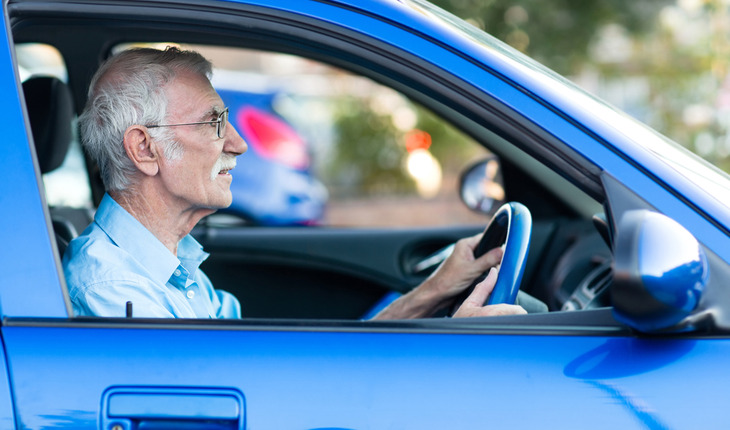 Researchers also learned that falls may be an independent factor impairing an older adult’s ability to drive safely, suggesting that some motor vehicle crashes might be caused by the falls themselves – regardless of the driver’s underlying health and functioning. The researchers also suggested that for older adults who fall, post-fall rehabilitation might help improve functional ability and enable them to drive more safely.